Thanks for your participation and support this year. We look forward to seeing you again in 2019! Please check this website for information on next year's startup date. The Royal Flush is owned and maintained by the Monmouth County Health Department and operated by the NY/NJ Baykeeper organization through a cooperative agreement established in 2015. Since 2001, the Royal Flush has serviced over 15,800 boats and properly disposed of over 568,000 gallons of sewage. Please be advised, Royal Flush days and hours of operation are subject to change depending on river and weather conditions. The boat is not equipped to operate in rough water or inclement weather conditions. Weather related schedule changes will be made at the sole discretion of the Royal Flush captain. We will make every attempt to update this website regarding schedule changes or cancellations. Check the website frequently for the most current schedule information. The Royal Flush operates Fridays and Saturdays from May 18 to September 29, 2018, weather permitting. Approximate hours of operation are 8 a.m.-4 p.m. Service is available in the Navesink and Shrewsbury Rivers. No paperwork is necessary in order to utilize the service. 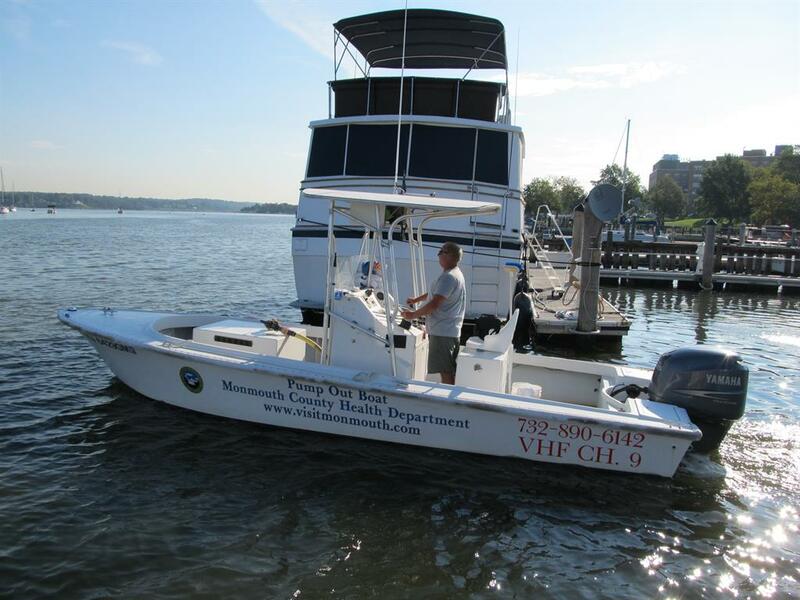 The boat is available to all recreational boaters, and is not limited to Monmouth County residents. Pump Out service by the Royal Flush is free of charge. Boaters can contact the Royal Flush by radio on VHF Channel 9, or by cell at 732-890-6142 on days the Royal Flush is operating. Service will be provided on a first come, first serve basis. For more information, contact the MCHD main office at 732-431-7456 (press option 3). http://njboating.org/. Visit this site for information on stationary pump out facilities in the two river area.